I Owed State Income Taxes Last Year - Can I Write That Off This Year? If you are filing a paper tax return this year, there is a specific order that the IRS generally wants you to use when assembling your tax return forms. The same goes for most state tax returns. 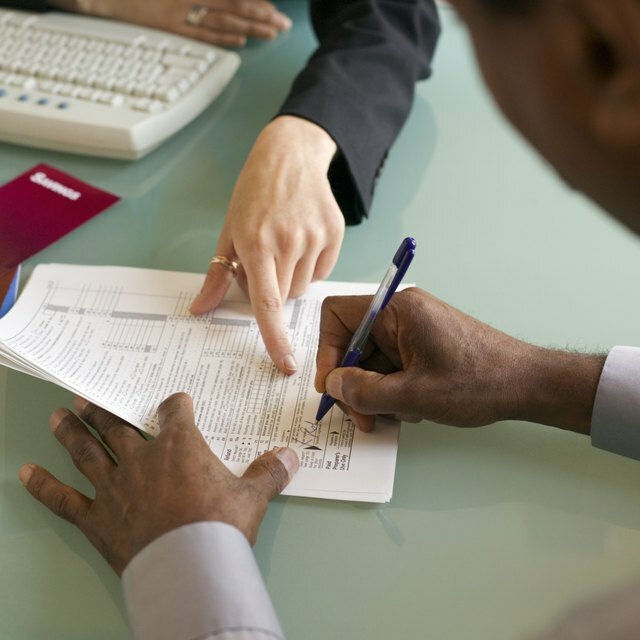 Learn how to quickly and efficiently assemble your tax paperwork. Start by assembling all of your W-2 and 1099 forms. Make sure that you include a copy of any form you received for earned income of any kind. However, you don't need to include 1099-INT and DIV forms for interest and dividend income. But you must include the federal copy of any K-1 or 1099-R forms you received for partnership income or losses. Assemble your 1040 Form and put all supporting schedules behind it in the proper alphabetical order. First comes Schedule A, then Schedule B, then C, D, E and so on. If you are self-employed, put form SE behind Schedule C. If you are claiming the Earned Income Credit, you can put Schedule EIC at the end. It is sometimes required, but always wise, to include copies of all receipts of your expenses that you claimed. This can head off a potential unnecessary audit. The 1040 instructions will show you that you are to attach your income forms to the left middle of the first page of the 1040. Assemble your state tax return in the following order: first the return of your home state, then any out-of-state tax returns followed by your federal return. Attach any forms that have state withholding to the front of your return. Some states, like Kansas, prefer that you make full page copies of all of your income forms instead of including the actual forms themselves for ease of processing. Some states also want you to paper clip your return together while others ask you to staple them. Do You Need to Attach 1099 Forms to a Federal Tax Return? Do not include any forms that do not have state tax withheld with your state returns. Most states are only interested in forms that have a number greater than zero in the withholding box. You also need to include a copy of your federal return with each state return. Don't forget to keep a copy of everything you send in, including your check, if you have a balance due. Keep this on file for at least 7 years so that you have it in case you are ever audited. For more information on assembling your tax return, download the IRS 1040 instructions or visit your state tax website.